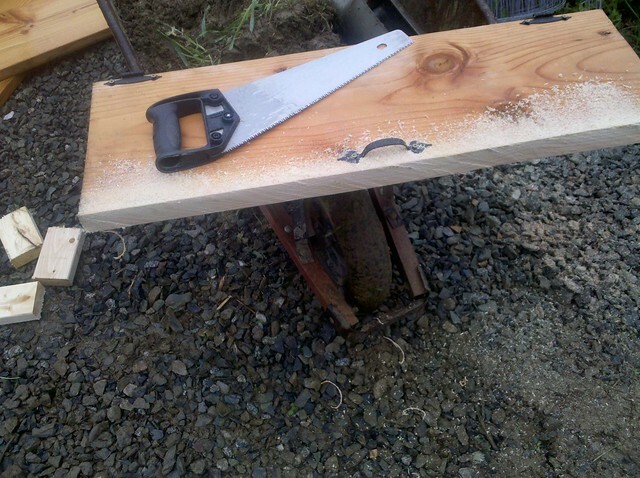 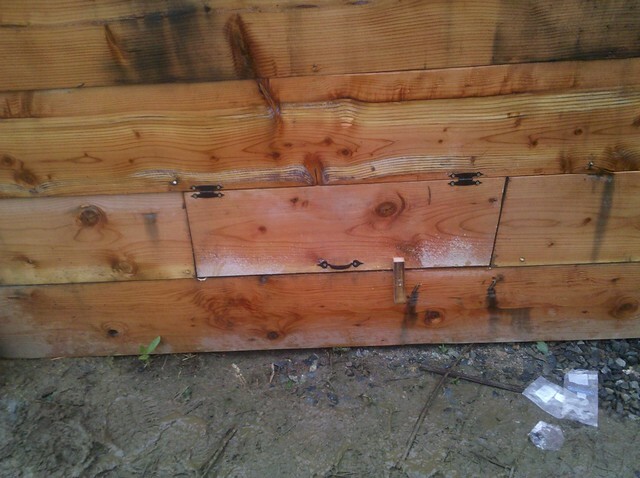 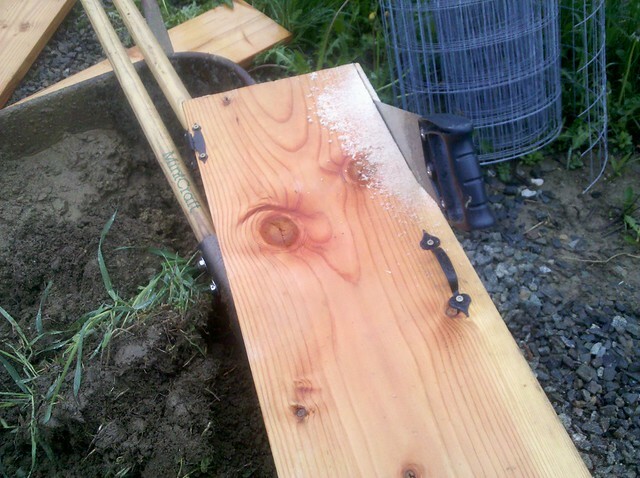 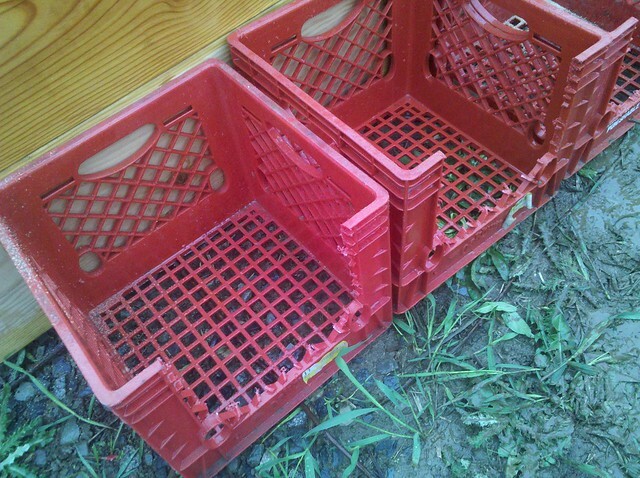 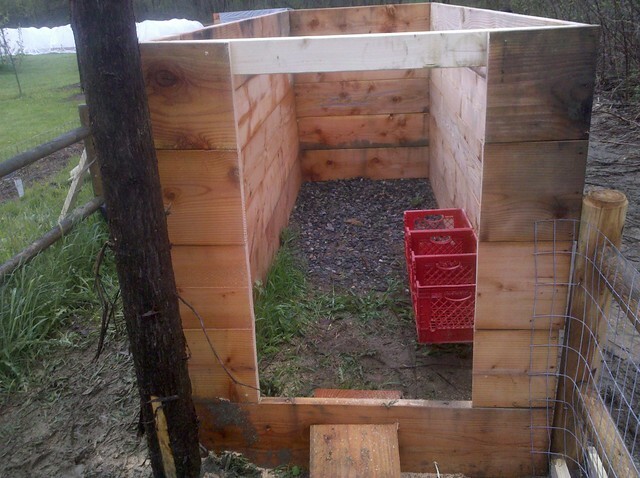 Here is a quick inexpensive DIY chicken coop we built. 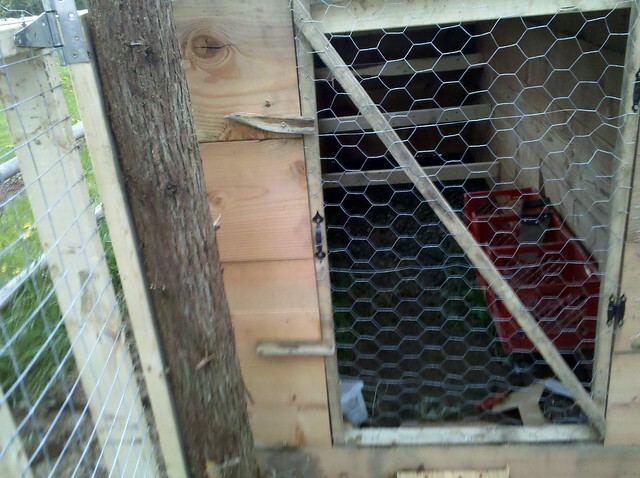 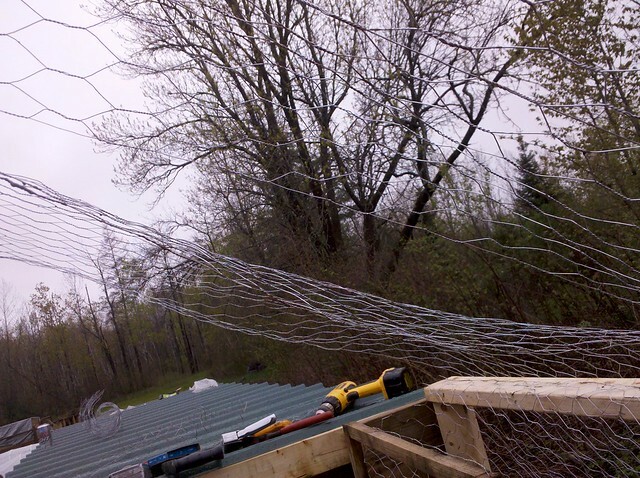 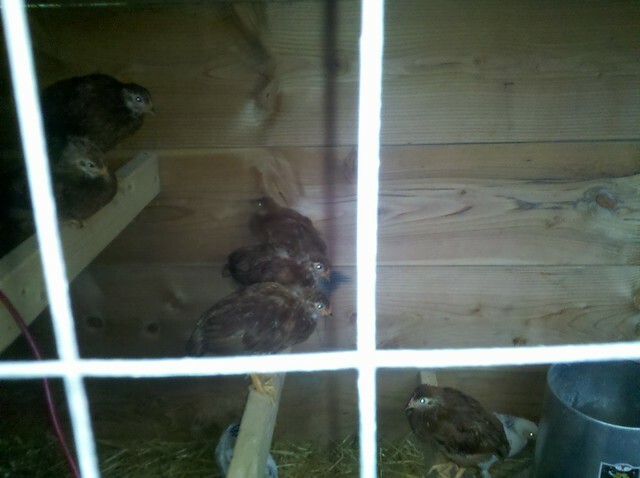 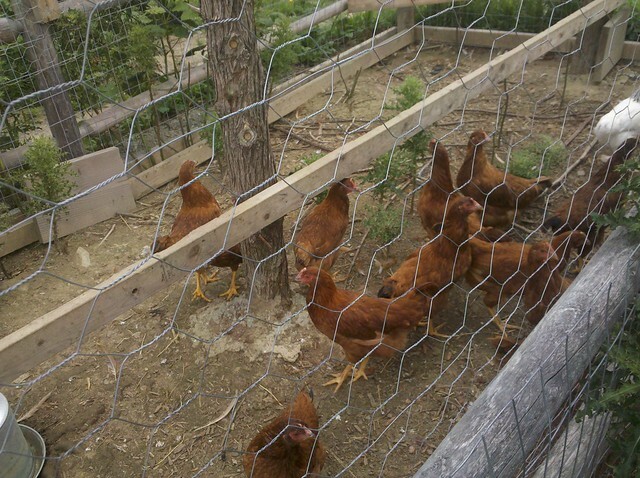 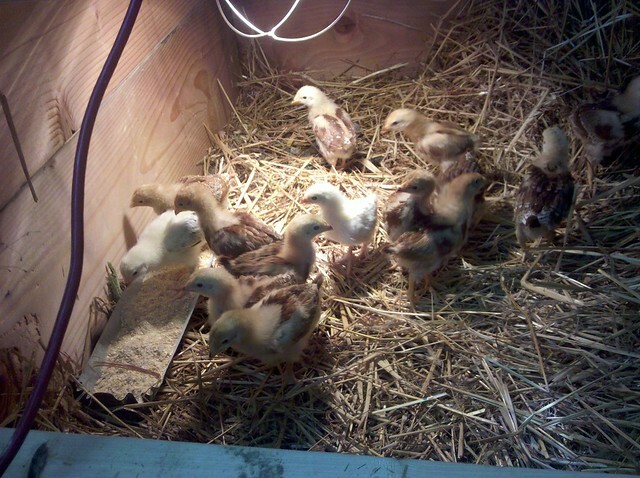 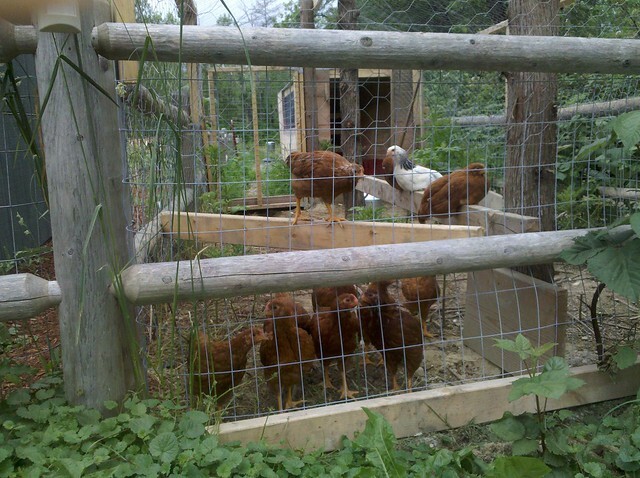 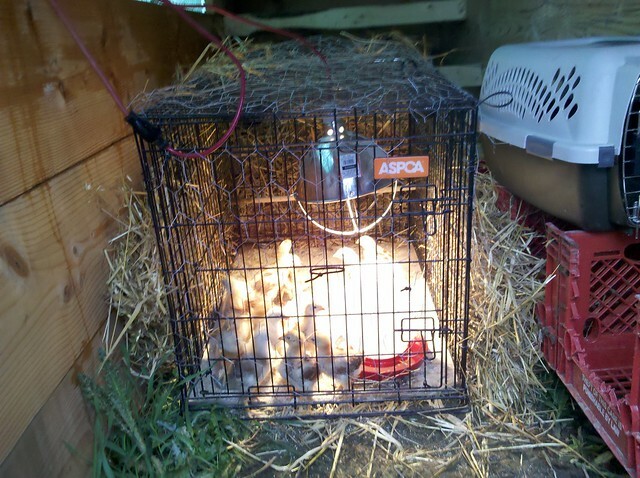 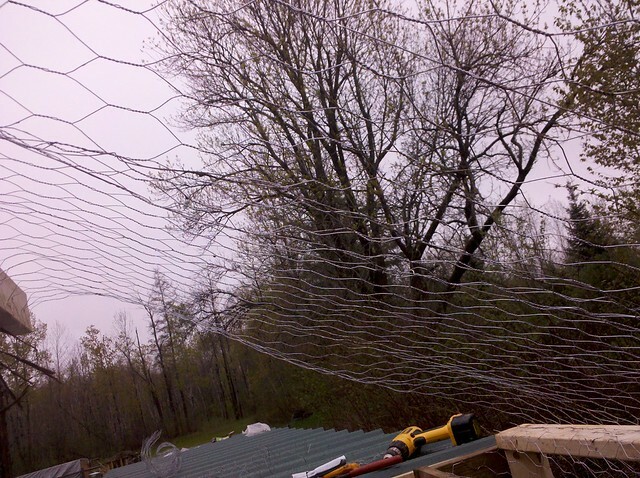 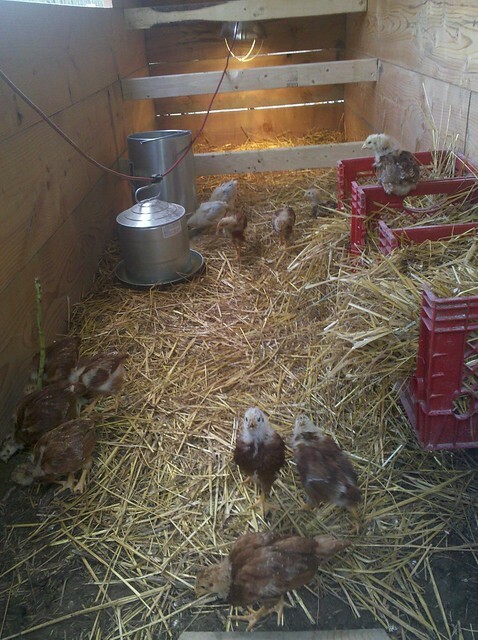 When we ordered our chickens we hadn’t really thought much about a coop at that point. 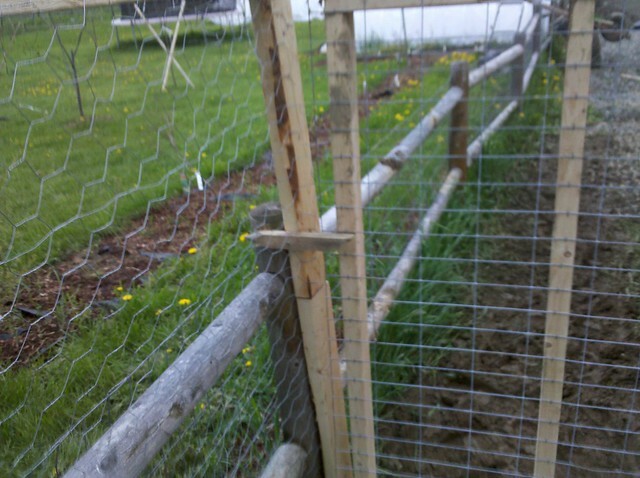 Well with everything going on I pushed it off to the last minute and I needed to get something thrown together fast. 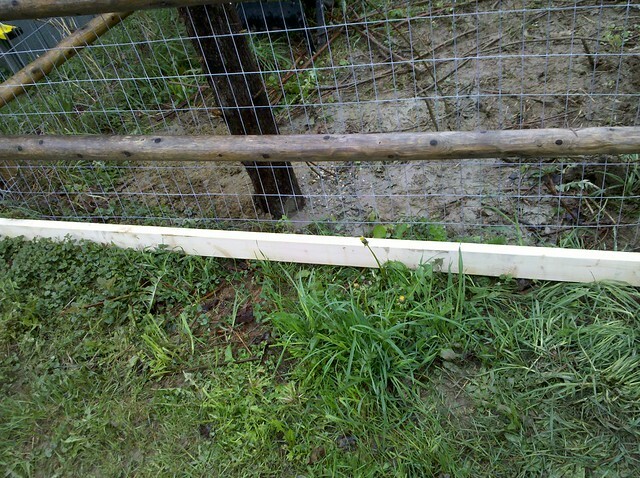 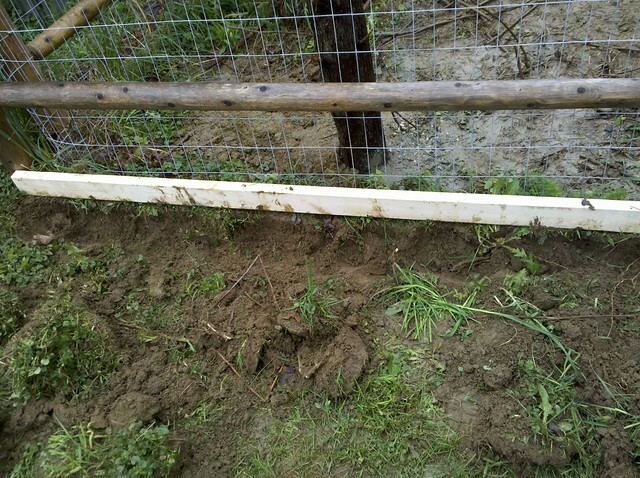 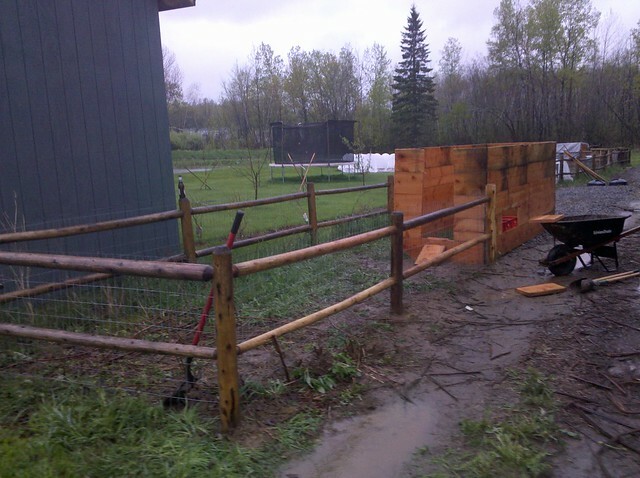 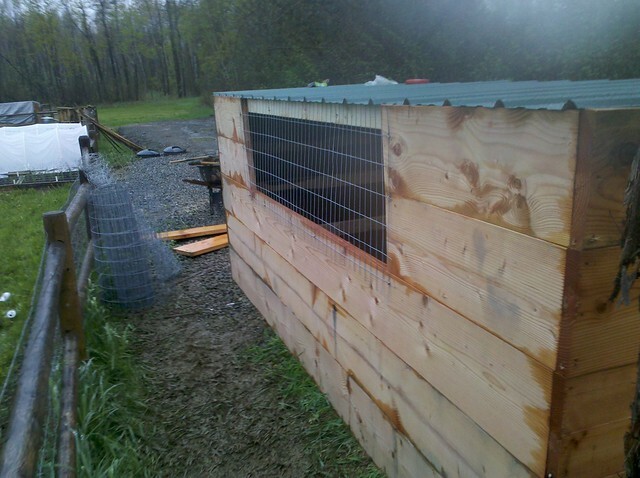 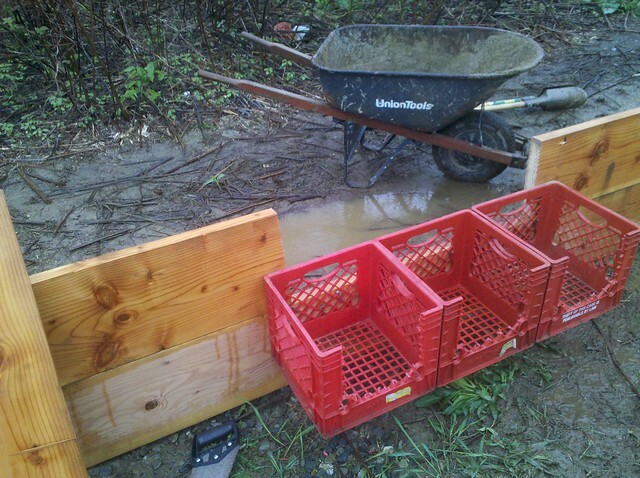 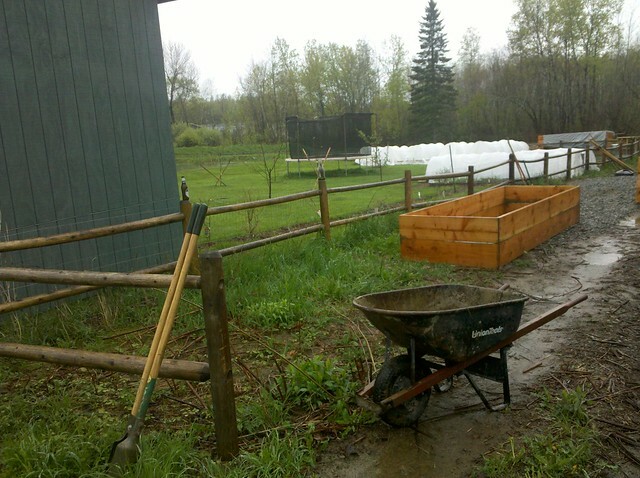 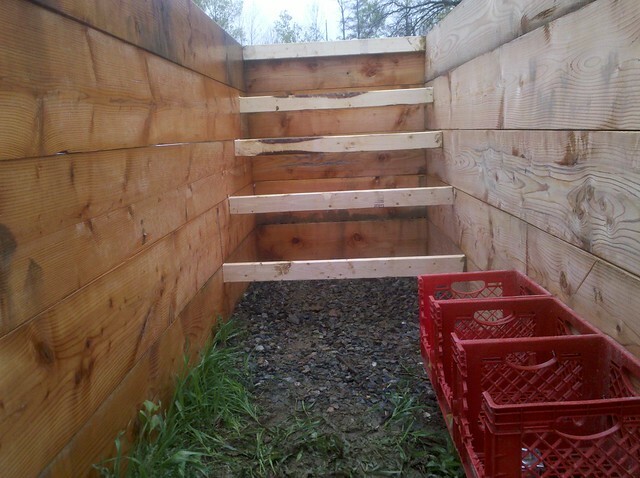 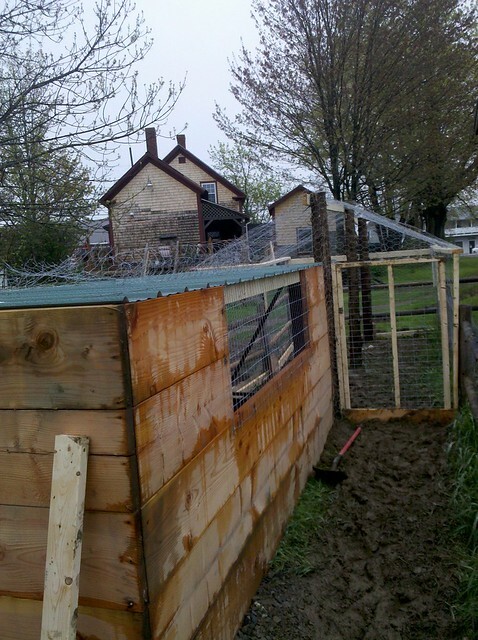 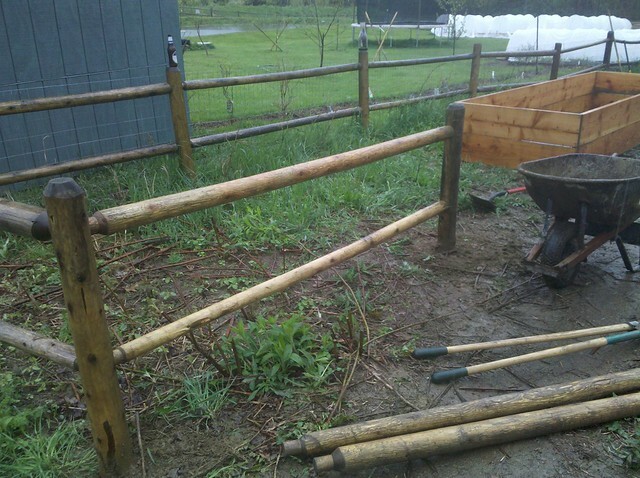 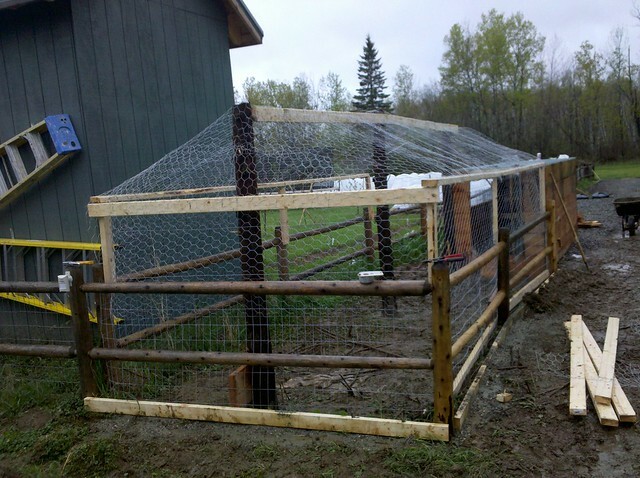 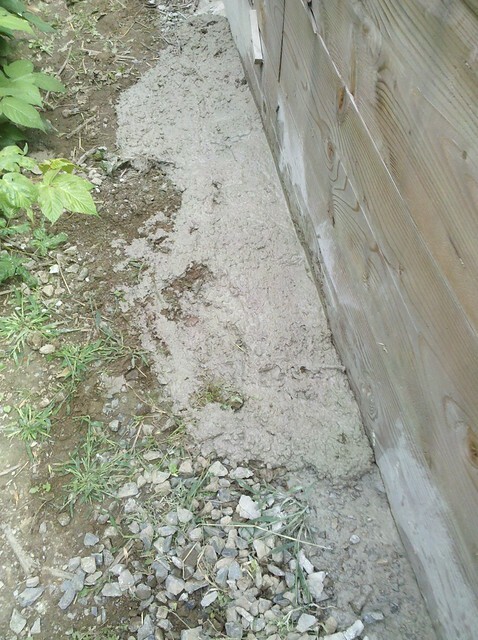 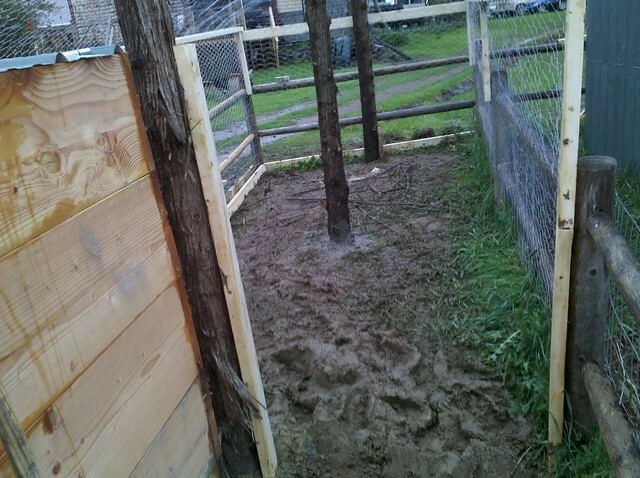 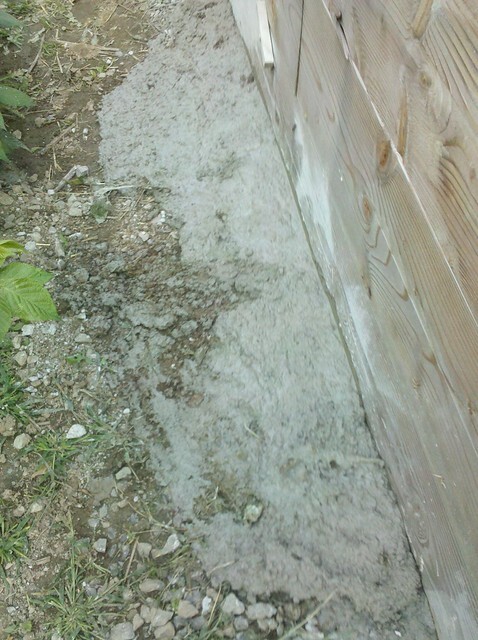 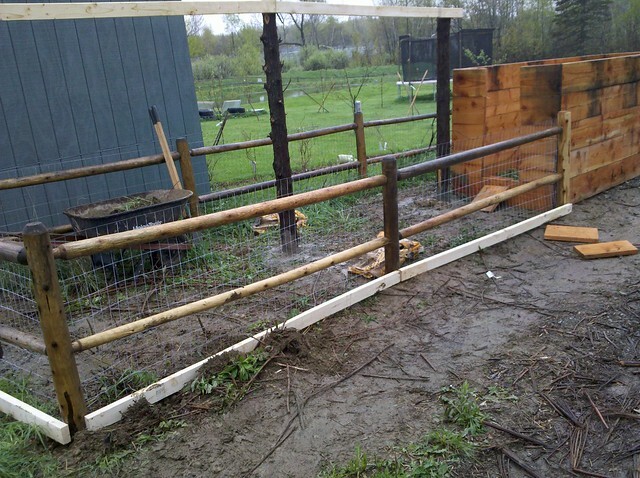 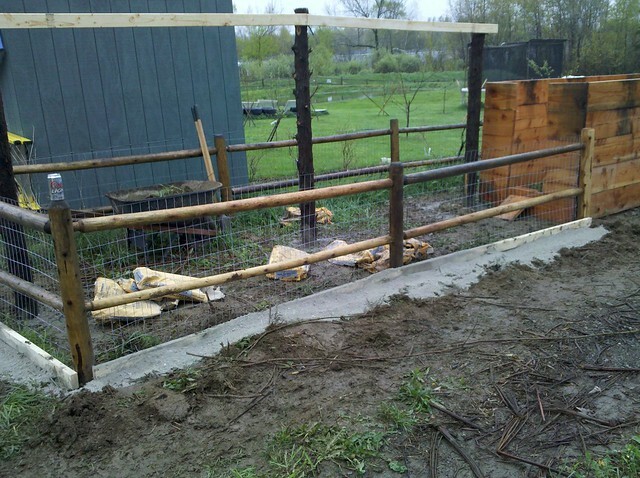 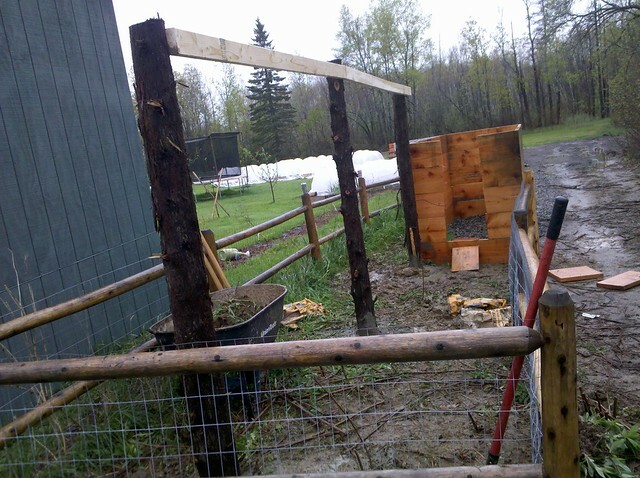 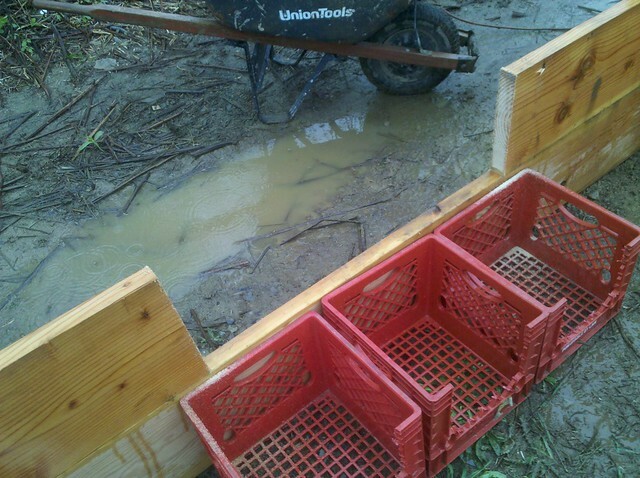 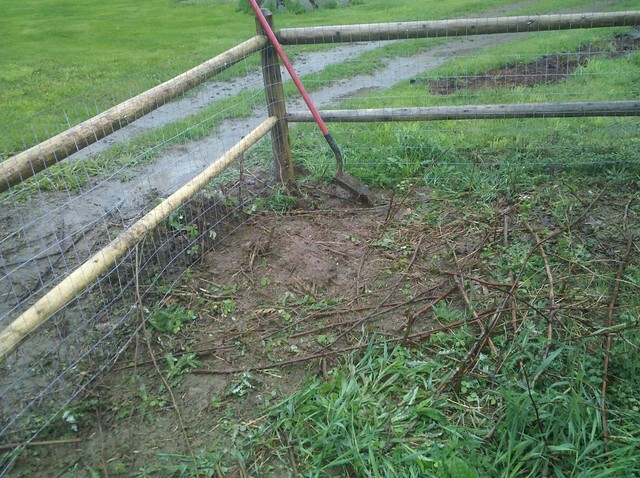 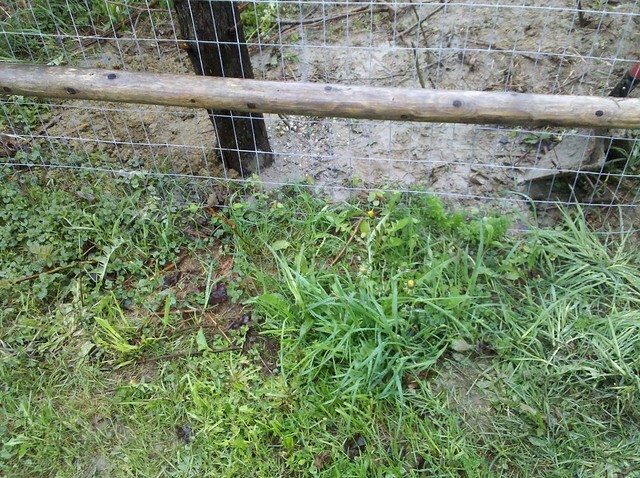 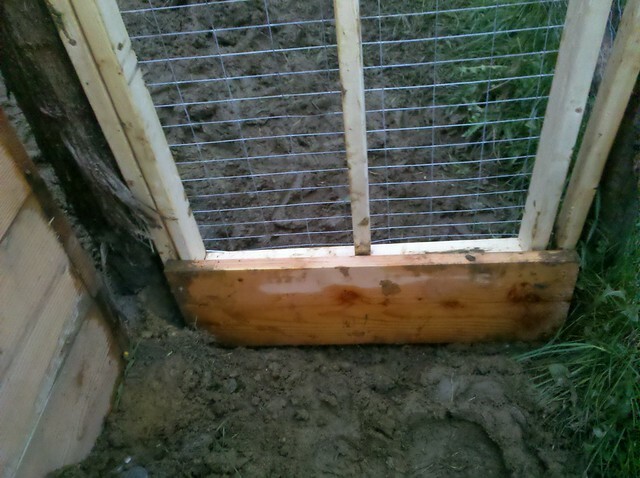 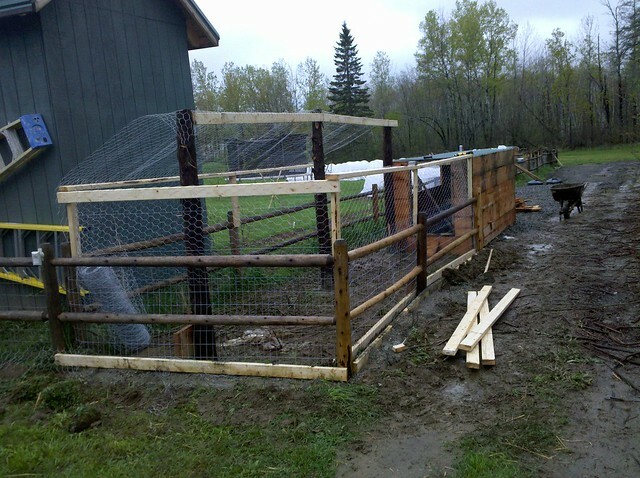 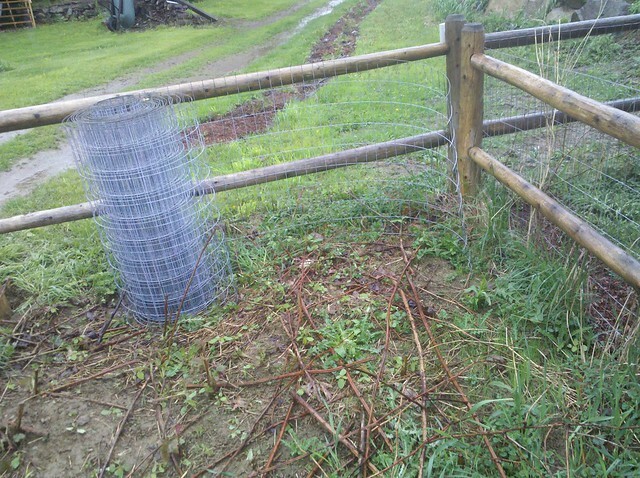 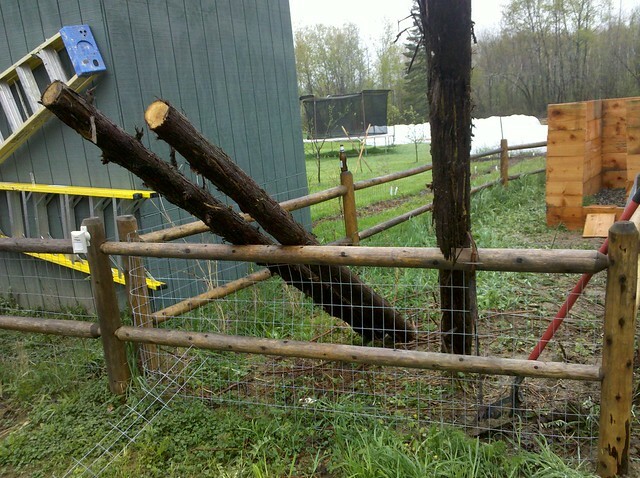 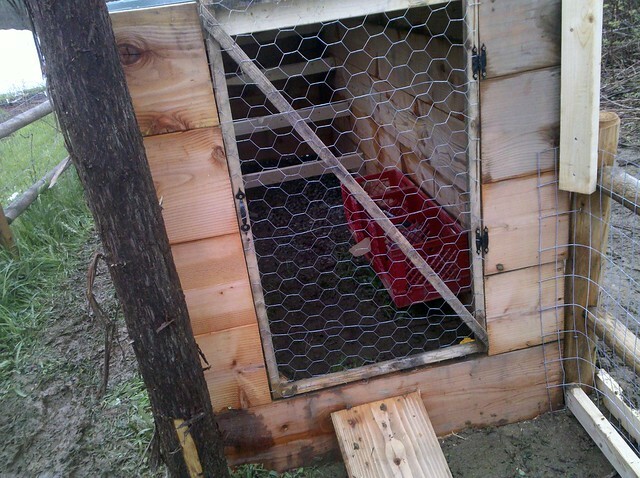 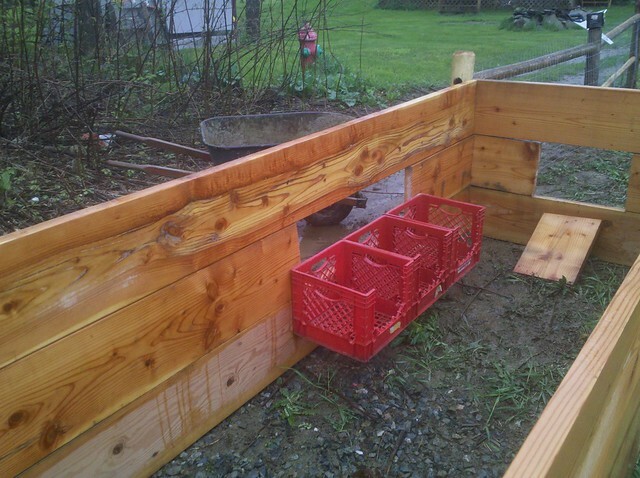 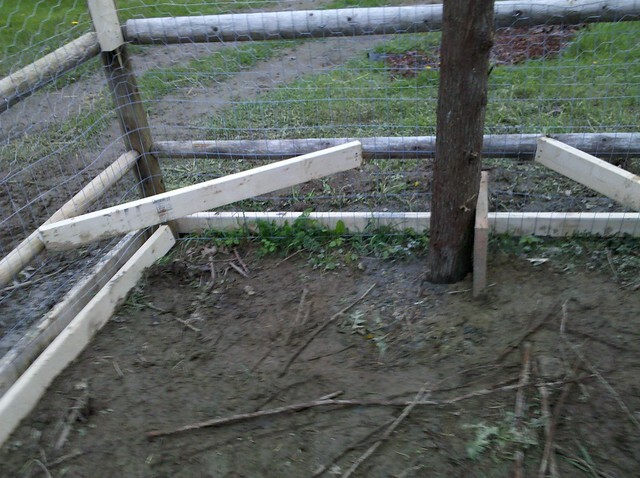 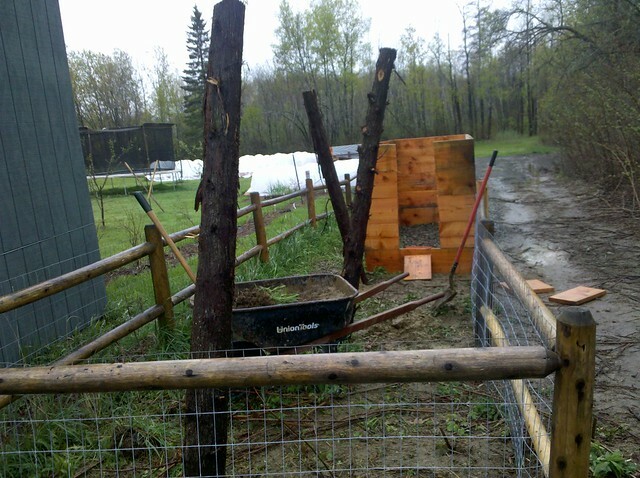 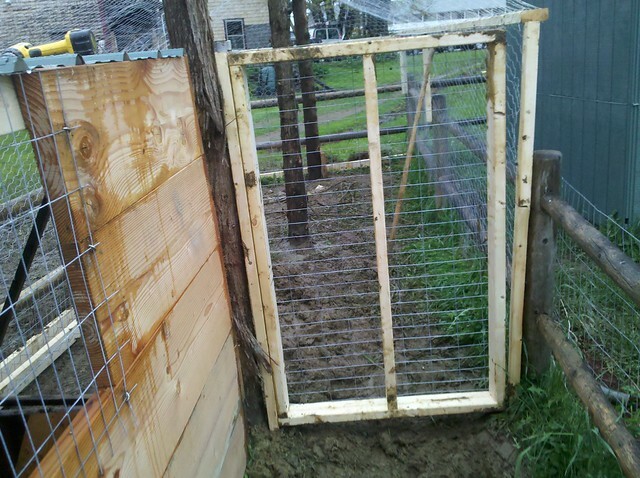 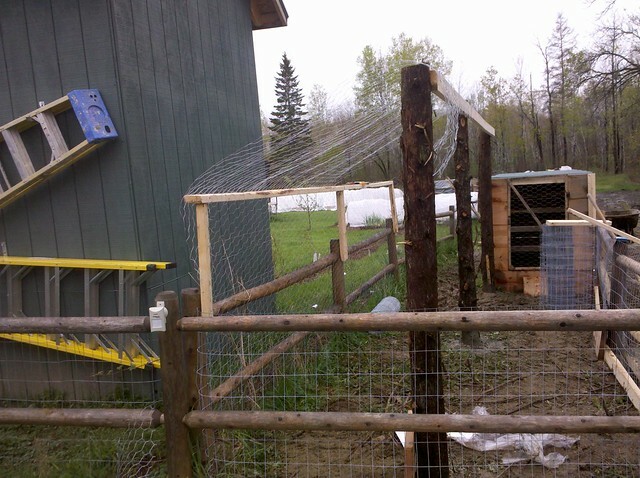 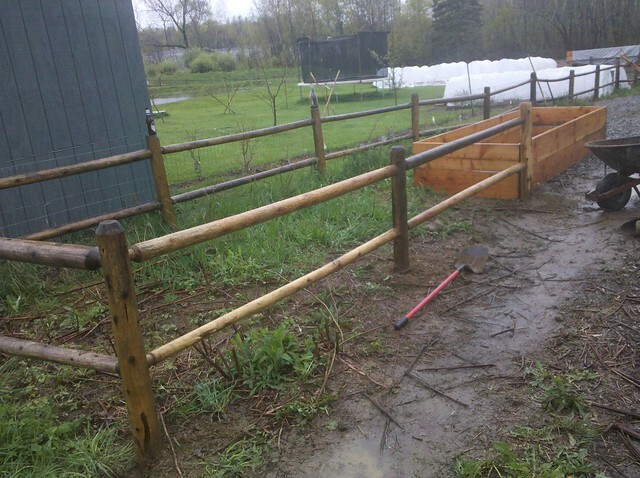 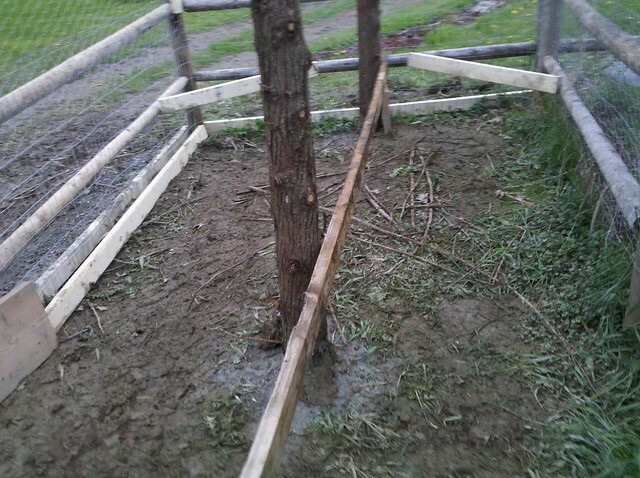 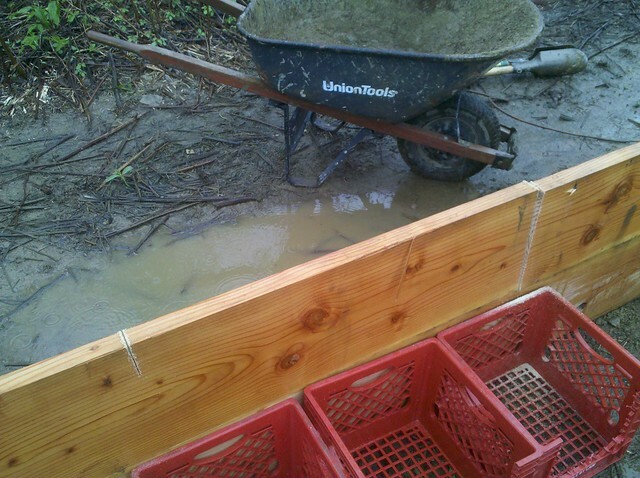 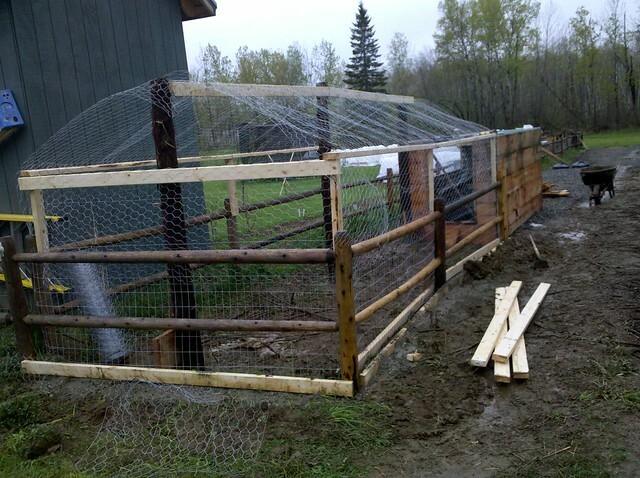 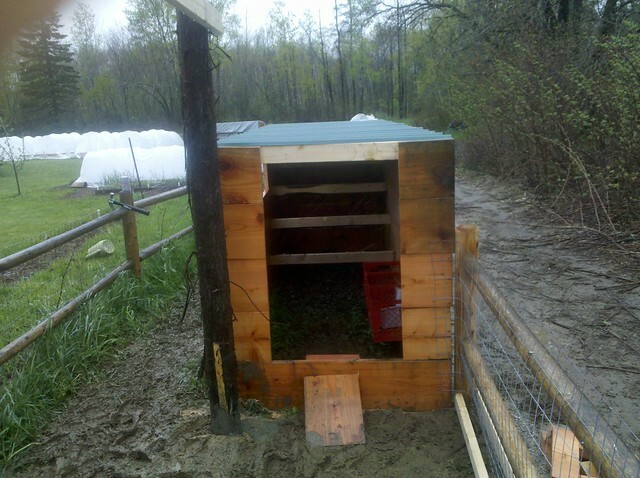 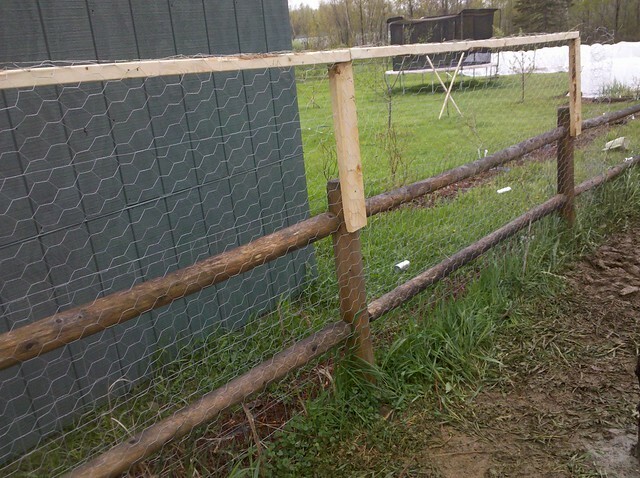 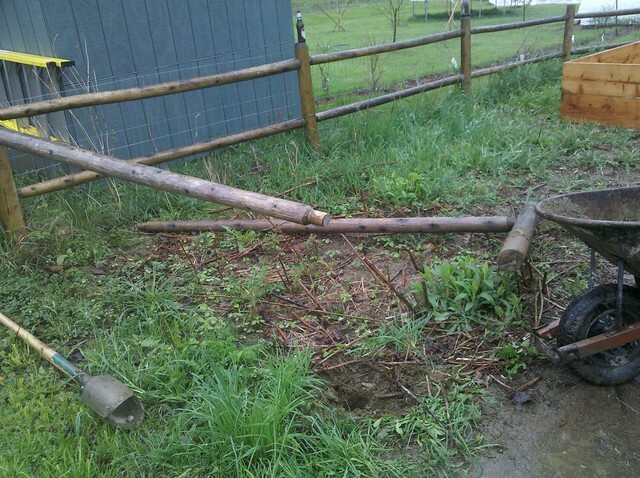 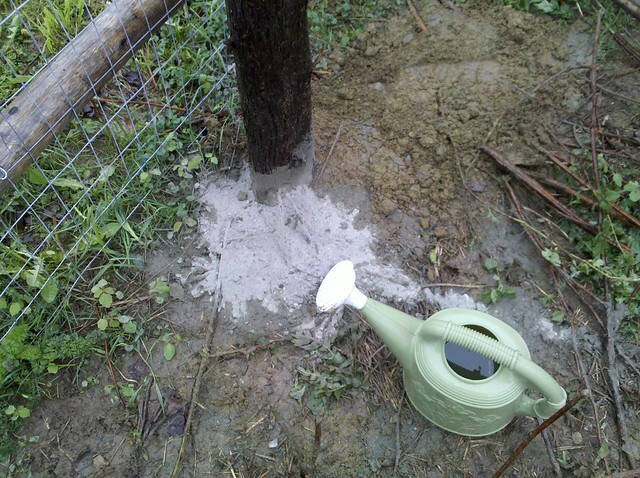 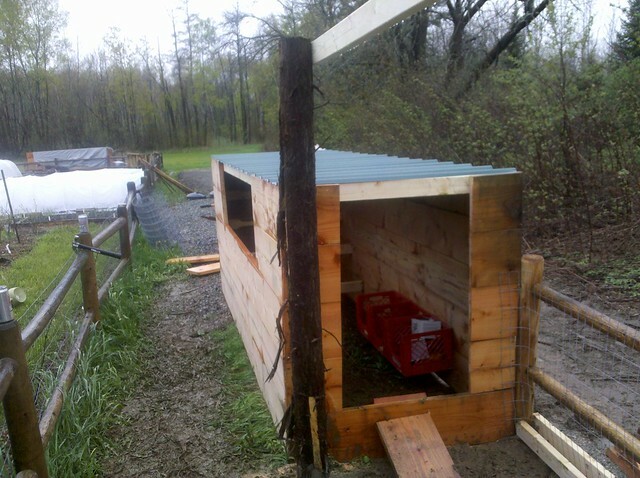 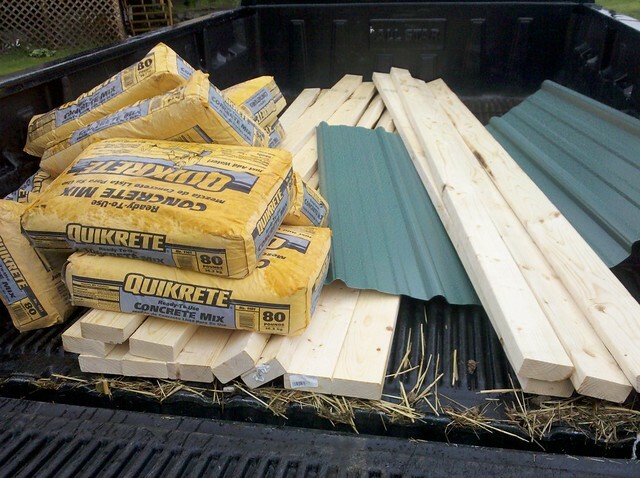 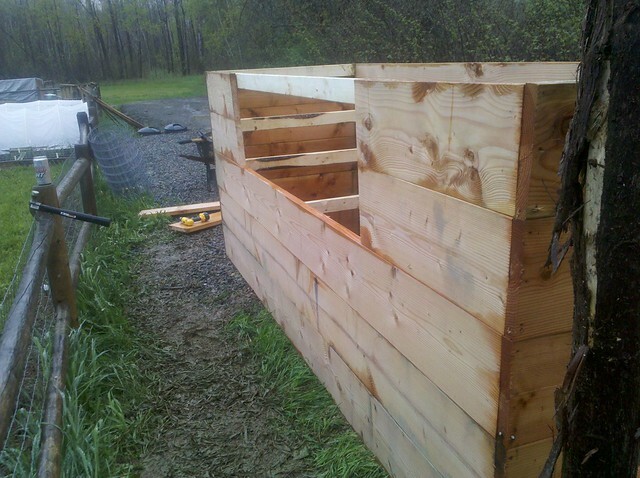 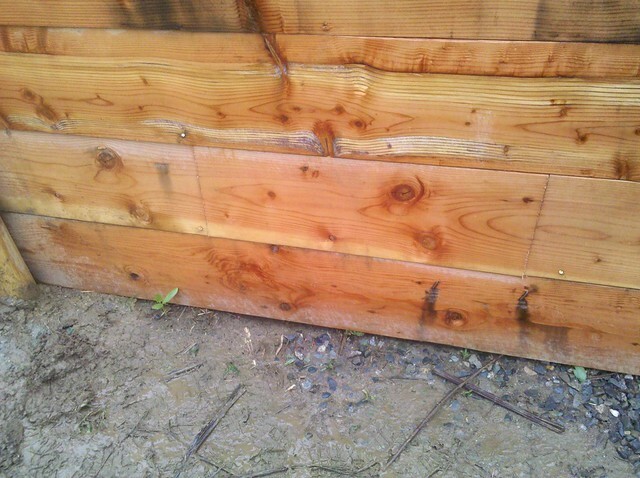 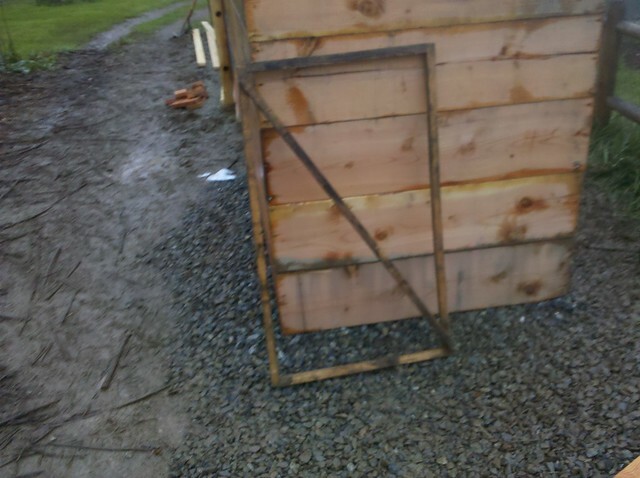 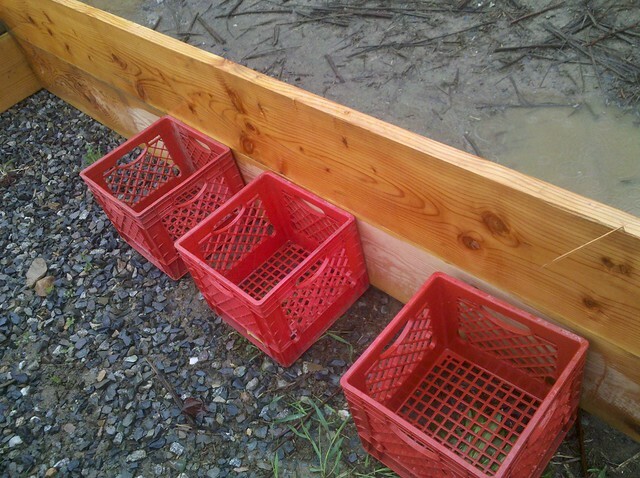 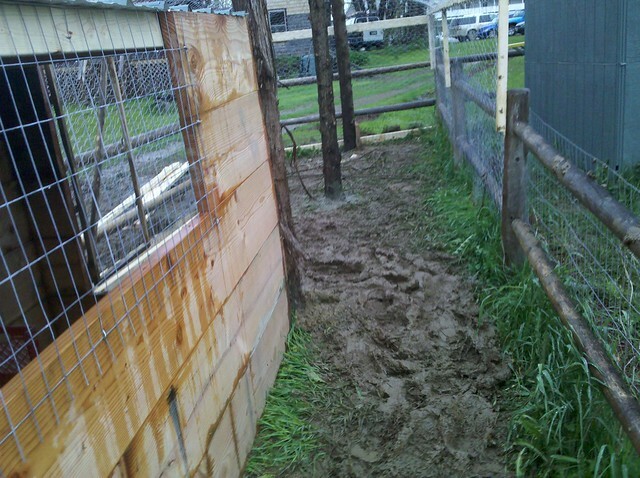 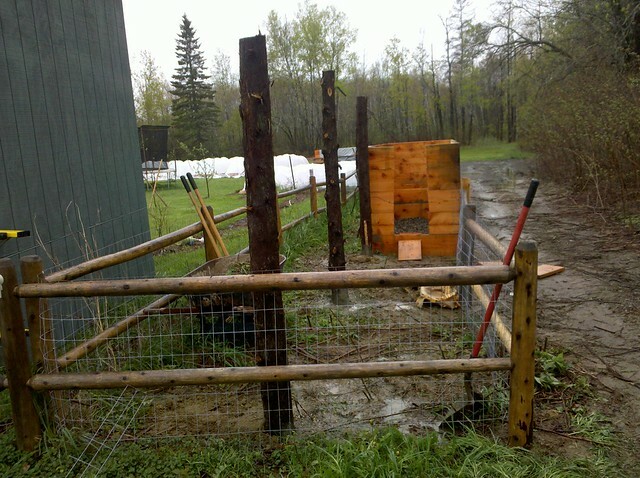 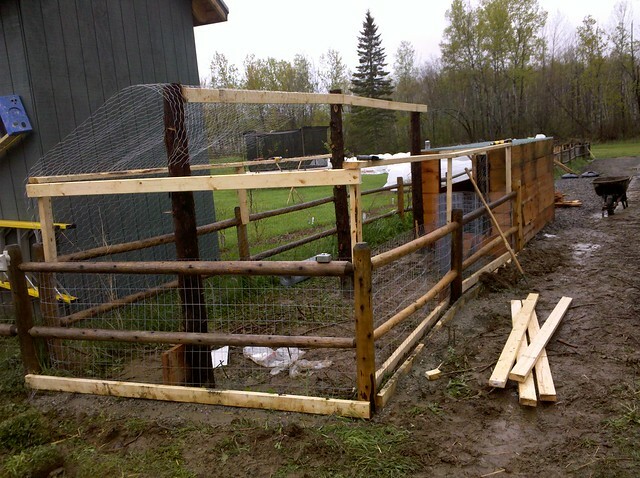 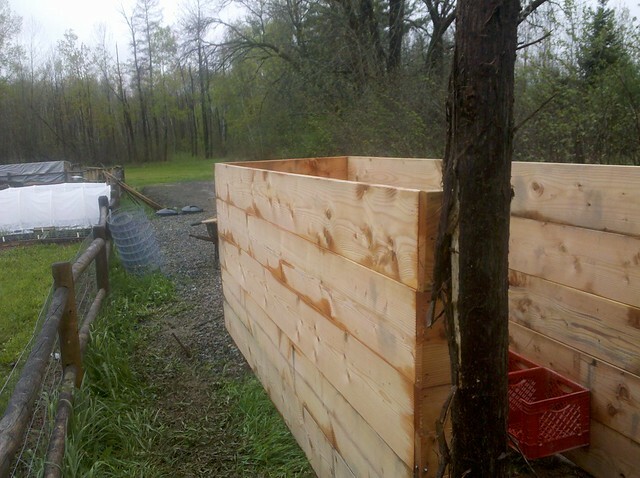 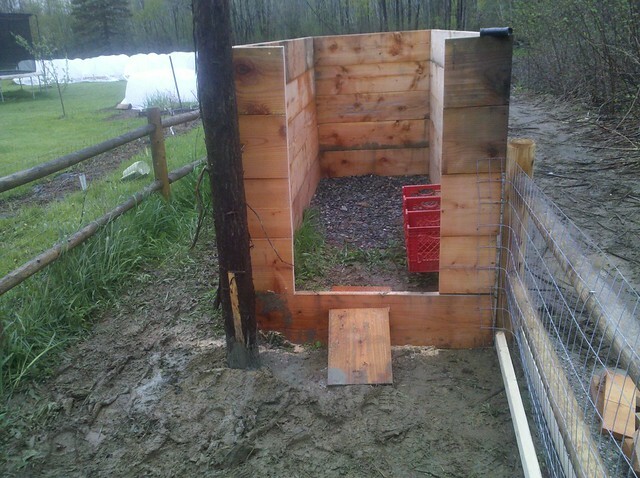 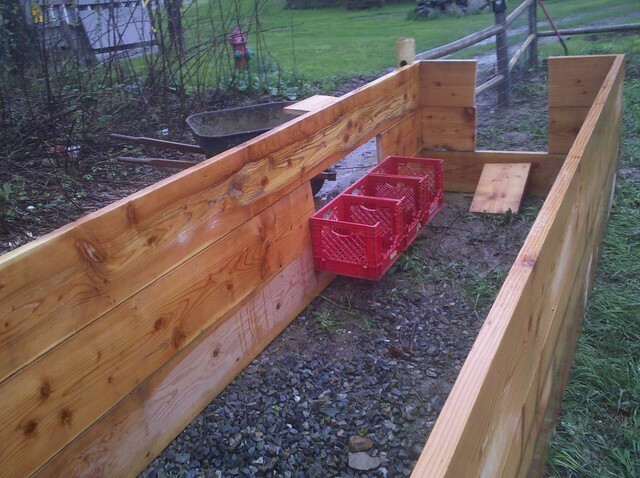 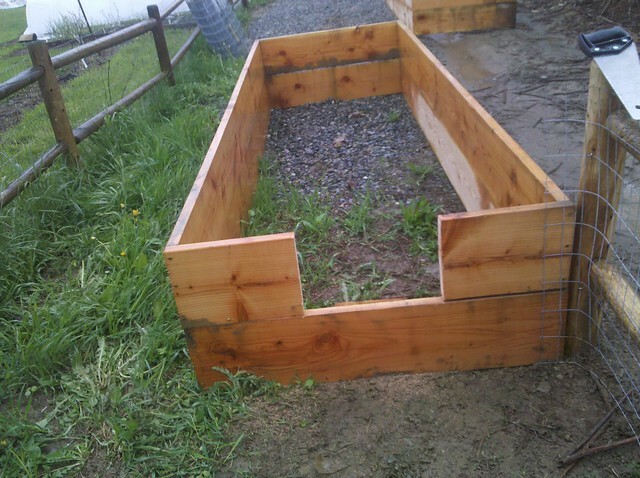 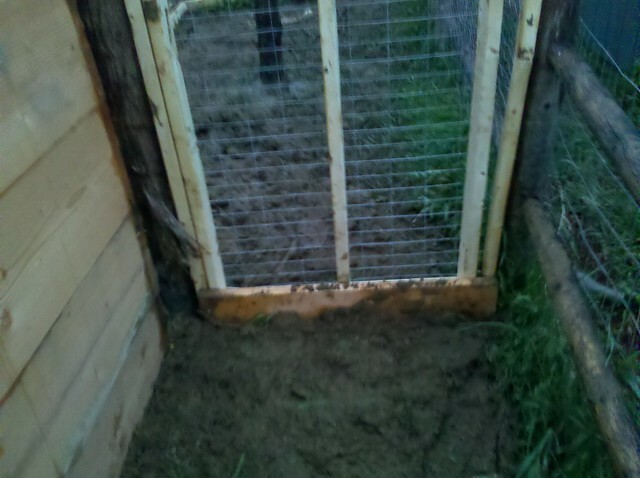 Since the pig pen went together quickly and was pretty inexpensive I decided to build our coop in the same method. 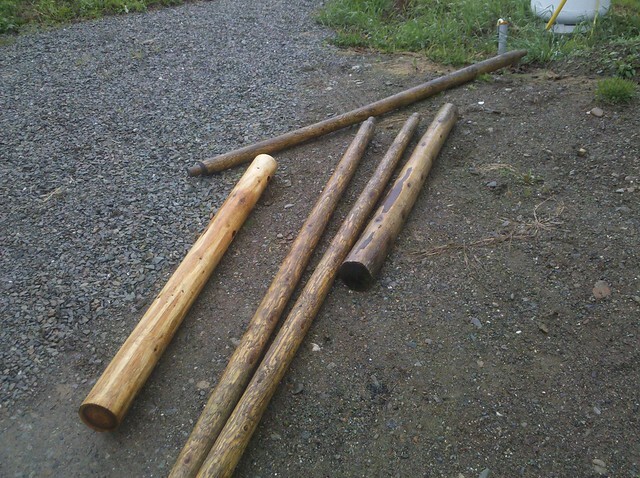 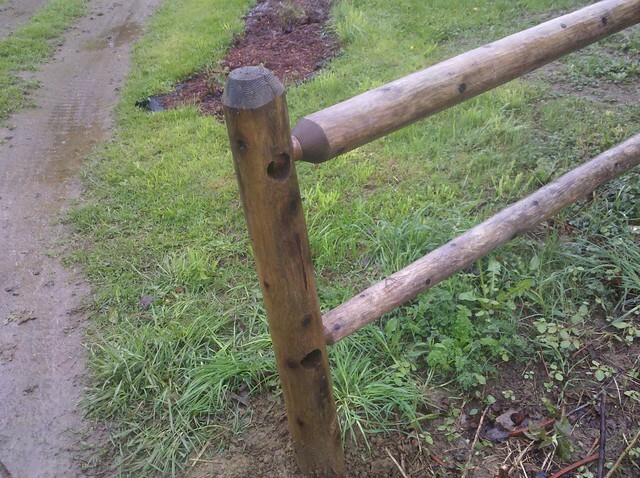 So I went and picked up some cedar posts. 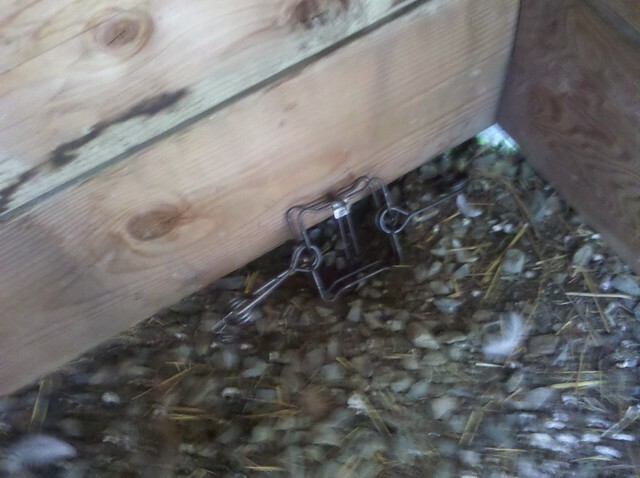 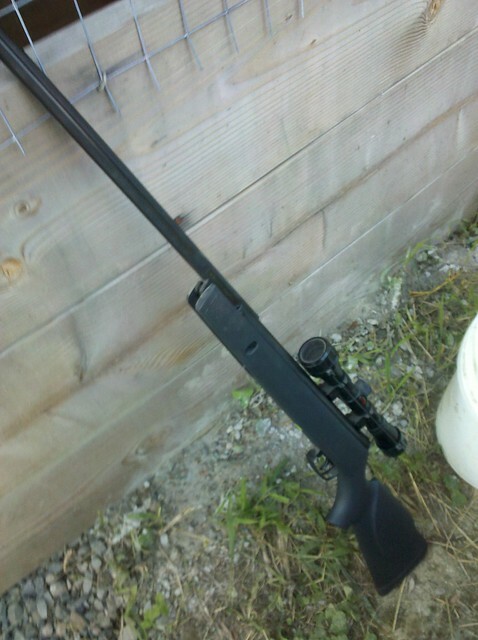 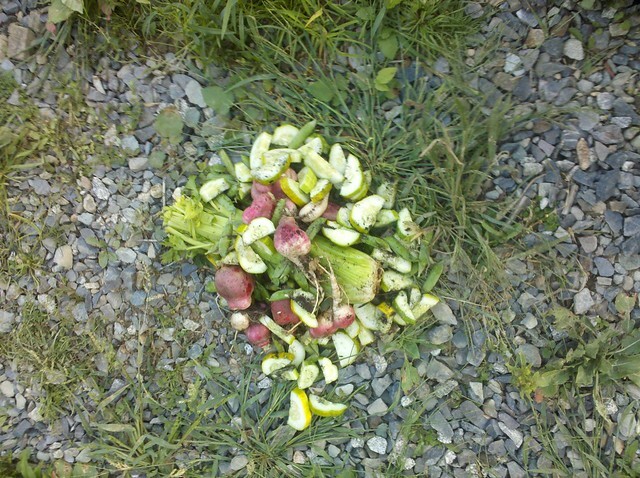 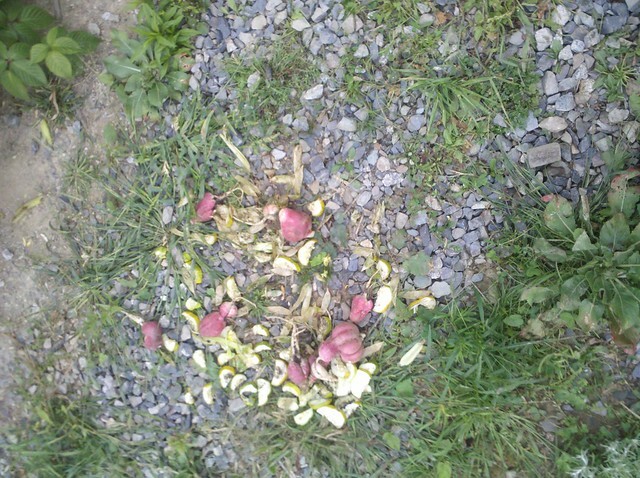 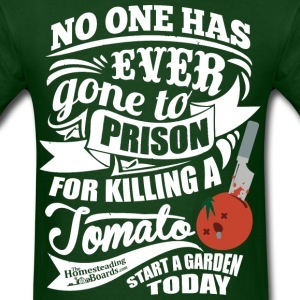 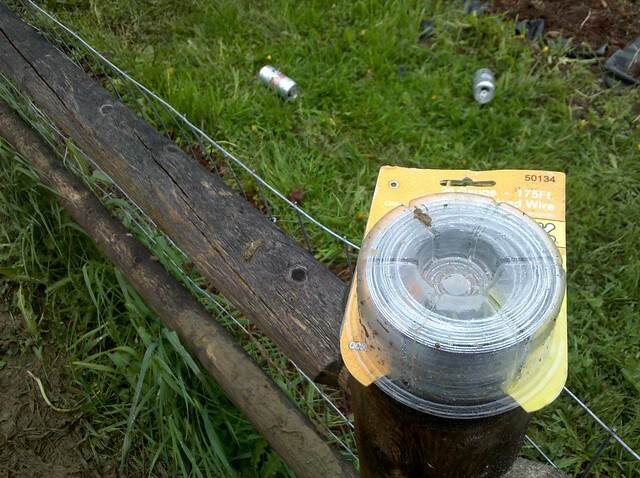 the next morning I saw the bait had been hit hard by my nemesis. 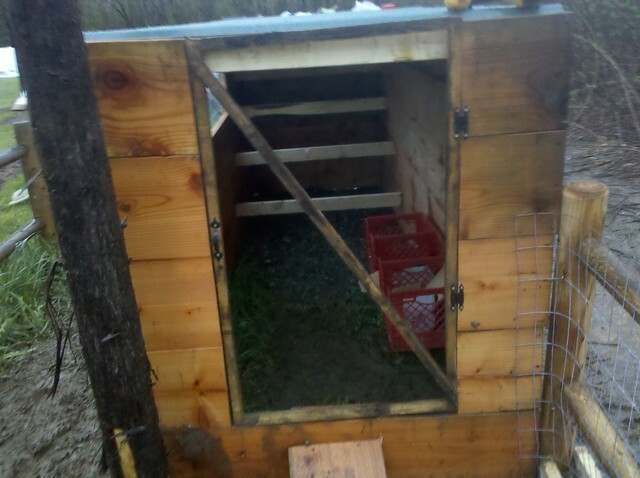 the chickens were all sitting in the corner of the run, which was not normal, so I peaked into the window of the coop and the ground hog was in there munching away on the chicken feed. 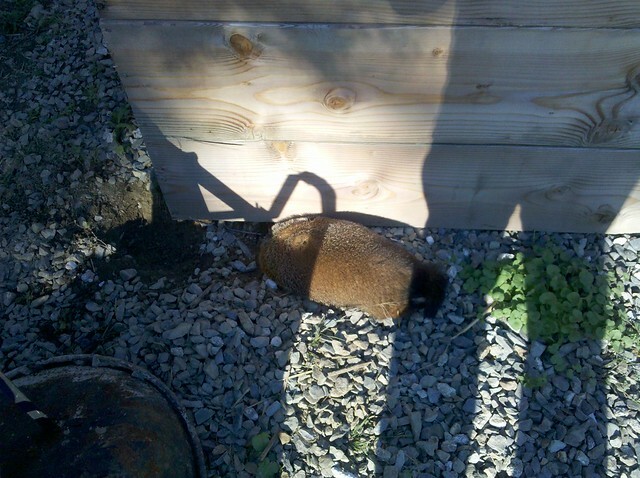 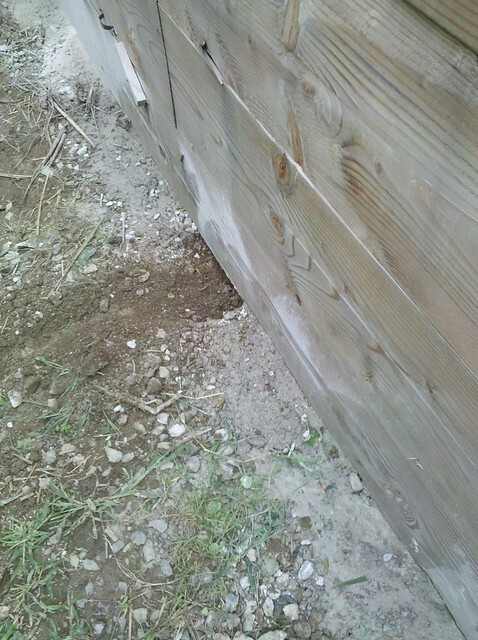 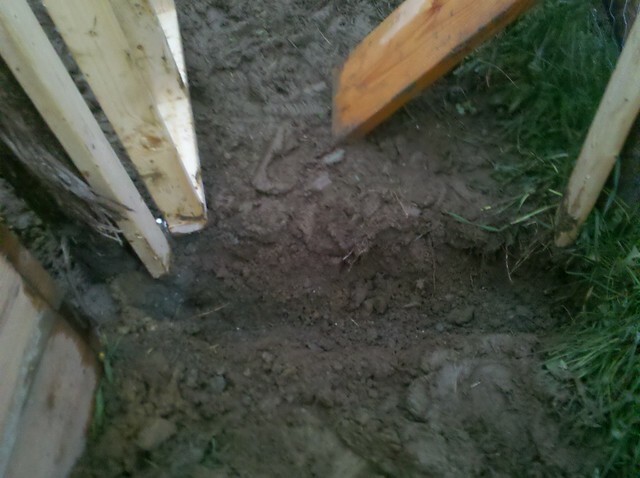 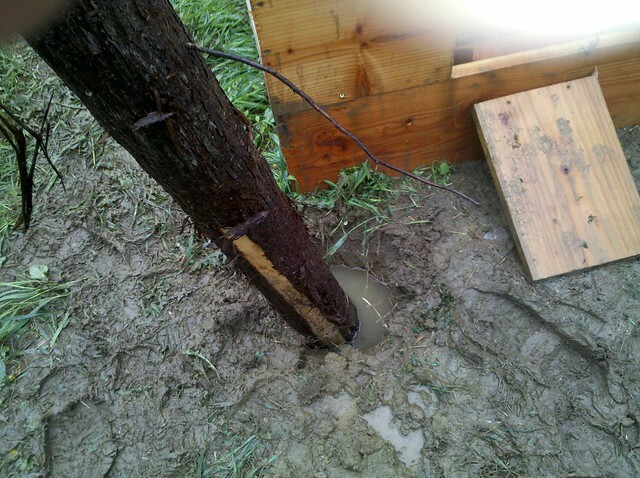 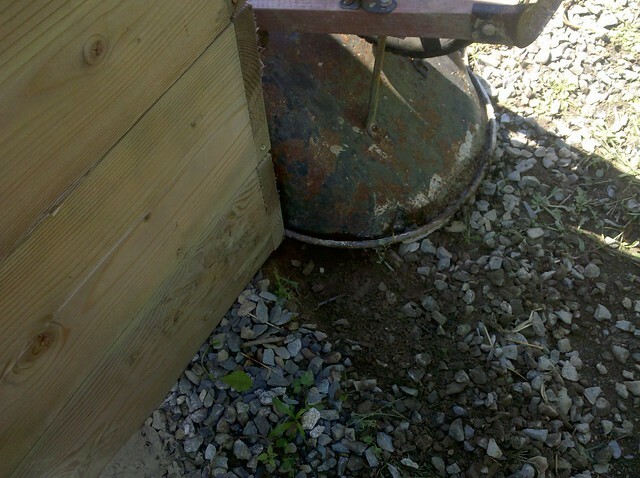 Before I could move he saw me and bolted back out the hole.